Helena Community Connections, Inc. (HCC) is an IRS tax exempt 501(c)(3) community organization that is the legal entity for Bridges --- the umbrella term for a growing set of programs which educate, encourage and inspire individuals to take charge of the aging process by charting pathways and bridges to purposeful aging. HCC, Inc. is an organization that offers enrichment services as a gift to the community. HCC promotes no particular religious traditions and welcomes all to participate in a non-discriminatory environment and handicapped accessible facility. Six local faith communities came together to form the Board of Directors including Covenant United Methodist, First Presbyterian, First Christian, Our Redeemer's Lutheran, Plymouth Congregational and St. Paul's United Methodist. HCC invites participation of communities across all religious traditions to join HCC in offering life enrichment gifts to those over 50. Current community program sponsors and significant program collaborators include AARP Montana, Touchmark, Montana State University - Extension Services, DPHHS Office on Aging, Montana Lifespan Respite Coalition and St. Peter's Health community education team, UM Geriatric Education Center, Blue Cross-Blue Shield of Montana and the United Methodist Church. Bridges was honored by AARP Montana as its Partner of the Year in calendar year 2016. 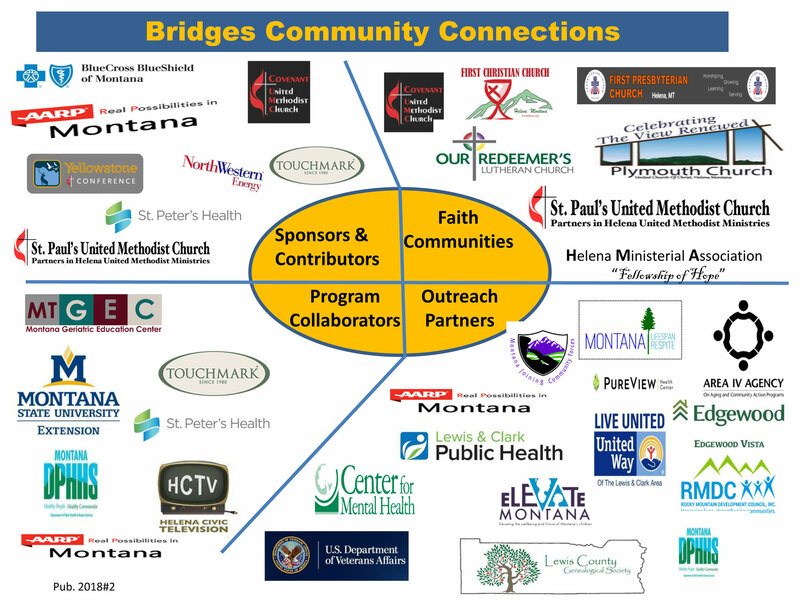 Program information, dissemination and outreach consists of ongoing direct electronic communication with participants and a growing network of outreach partners consisting of organizations throughout the Helena community. 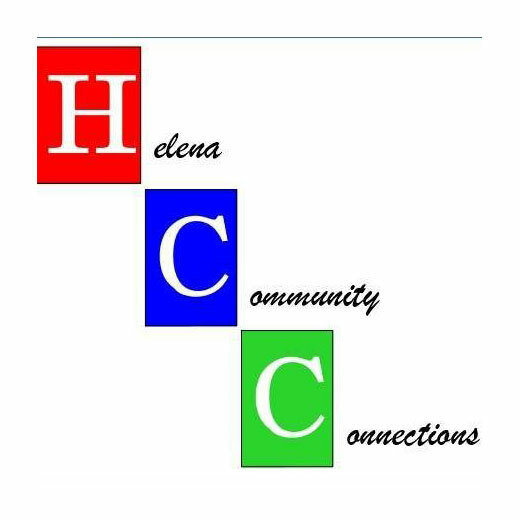 Helena Community Connections' Newsletter is published monthly and Bridges programs are advertised in the Independent Record and on Helenaevents.com. We also maintain a large and active email distribution list/listserve.